The public transport network in the French capital has been designed in such as way as to guarantee that there is a stop every 500 metres and the lines extend right across the city, into the suburbs and beyond. The transport system ensures a really efficient and punctual service and in this article, we will discover together how best to organise oneself for getting around the city on the Metro and the RER. The acronym stands for the Regional Express Network in French and is a fast speed rail system that began in France in 1969 and has subsequently been developed in different areas of the European Union such as, in Barcelona, for example. This type of rail system weaves through underground tunnels and today consists of more than 250 stops, of which, more than 30 are in Paris itself. There are 5 lines on the RER system and they are identifiable by colour and by different letters of the alphabet. RER C:Line C on the RER crosses the city from west to south from the town of Pontoise to the commune of Saint-Martin d'Étampes. This line is really useful for visitors wanting to reach the Palace of Versailles via public transport. RER E: Line E connects the north-east of the city, from Haussmann - Saint-Lazare (Branch E1) to the eastern area of Paris Chelles - Gournay (Branch E2) and Touman, (Branch E4). 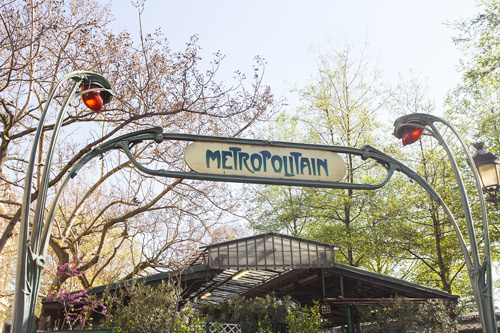 The Paris Metro is fast and convenient and is well represented throughout the urban area: all you have to remember is that you can find a station every 500 metres, maximum. 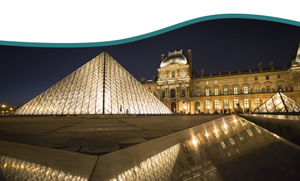 It is often possible to reach some of the most famous tourist attractions by using more than one line, for example, when visiting the Louvre (via the yellow Line 1 or pink Line 7) or the Eiffel Tower (via the green Line 6 or the yellow Line 10 or pink Line 8). Even if you are not used to using the metro, you won't have any problems in using this network thanks to the fact that inside each carriage you will find illumintated signs which indicate the route being used. If you make a mistake and set off in the wrong direction, just get off, change direction and, at worst, you may have lost 5 minutes of your time as the trains pass through every 3 - 5 minutes. The Metro or the RER? The difference in the two systems lies in the fact that the RER is more similar to an underground train and, above all, it travels to areas that are quite a distance from the city centre such as Versailles and Disneyland Paris, for example. When you visit the centre of Paris, it will often happen that you enter a railway station that is part of the RER and it is important to recognise the difference between this sytem and the Metro and when it is best to use either one or the other. For example, if you want to visit places outside the city on public transport such as Versailles and Disneyland Paris, using the RER would be the ideal choice. On the other hand, if you are hopping from one attraction to another, there are more options and more stops on the Metro. However, for example, the RER's Line C has stops which are close to many of the city's main attractions such as the Arc de Triomphe, the Eiffel Tower, Notre Dame and the Musee d'Orsay. On the other hand, the RER Line B has stops which are close to the famous Pompidou Centre, the Cathedral of Notre Dame and the Luxembourg Palace. Which ticket should I buy and how much does it cost? First of all, it's good to know that the tickets are the same for the Metro, the RER and the buses.They can be purchased very easily at the ticket dispensers that are situated at the entrace of all the Metro and RER stops and the price varies according to the area selected. 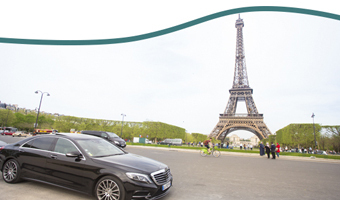 But, for any tourists who want to travel around the city exploring the centre of Paris, it is usually sufficient just to purchase a ticket that covers Zone A. You can choose to buy a single ticket at a cost of €1.90 (Zone A) but we don't recommend this. In fact, our advice is to buy a T10 Pass (Zone A - €14.90) or a T20 Pass (Zone A - €28.00) and thus save yourself a lot of money. Furthermore, these types of travel cards are actually not individual but cover 10 or 20 tickets so thatyou can easily share them with your family or friends. 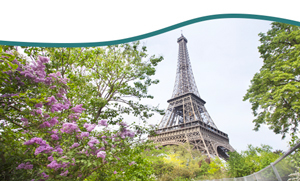 It is also possible to take the RER B to Orly Airport but we don't really recommend this option because, in contrast to travelling to Charles de Gaulle, the journey involves a stop and a change of transport. 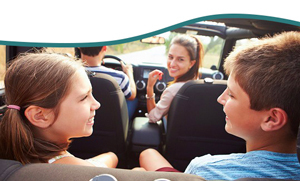 If you want to travel without having to worry, you can always book a Private Taxi service or an Airport Shuttle and thus avoid the stresses of using public transport whilst grappling with your luggage. With regard to the operating hours for the Metro, this depends on the line required but, in general, the service starts operating from 5:30 / 6:00 am until around 1 am in the morning during the week. However, at the weekend, (Fridays and Saturdays), the Metro does continue to operate until two in the morning. In the event of needing a means of transport outside the Metro's operating hours, you can use the Noctiliens (night buses) or book a Public Taxi. When it comes to the operating times for the RER, these also vary depending on which Line you require but we would say that in general the journeys start from 5:30 / 6;00 until midnight without any different schedules at the weekends.